Talking watch with a metallic coloured resin case and a chrome ring around the white face containing black contrasting numbers and hands. 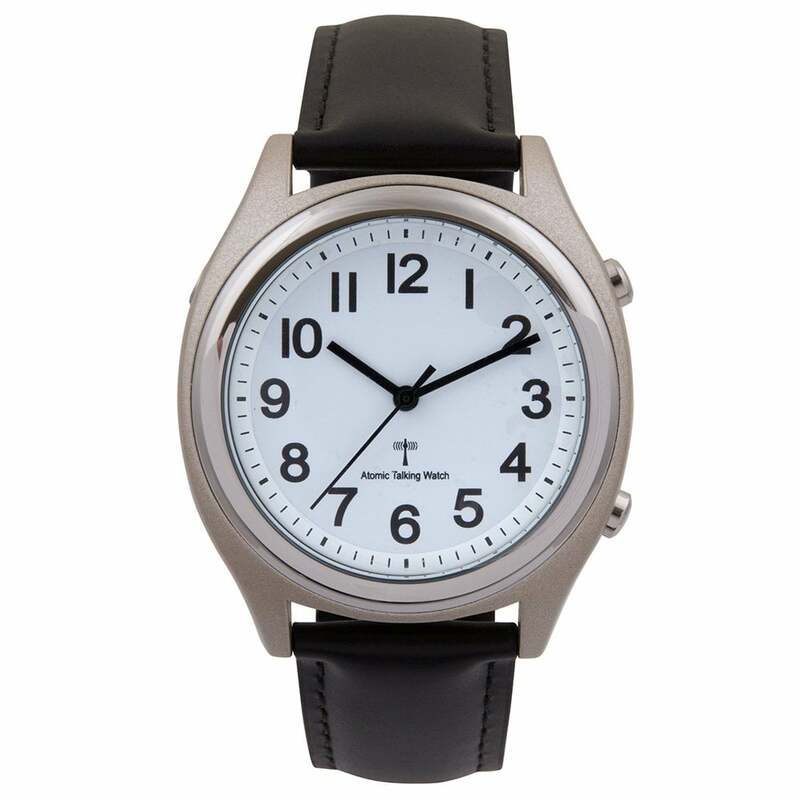 It has a case diameter of 39mm and announces both the time and date in a male English voice. It also has an alarm and optional hourly announcement function. Simply press the 2 o’clock button to hear the time and the 4 o’clock button to hear the date. It is radio-controlled, which means it receives a signal from a radio transmitter, enabling the time and date to set and regularly update automatically, including when the clocks change. Alternative straps available on request.